Toyota 4Runner 1996-2002: Why is My Frame Squeaking? Learn how to identify your frame's noises with the help of this article. As you rack up the miles on your Toyota 4Runner, the wear and tear on vital components increases, and it gives way to pesky and annoying sounds that originate at the frame or other parts. These noises could be caused by multiple reasons and could also mean multiple issues – some benign, some major. 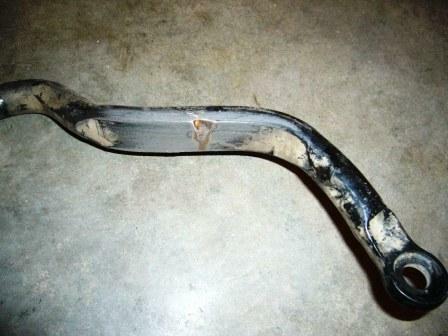 Use the information in this article to help identify what could be causing your frame to squeak. Your 4Runner's frame connects to multiple components in various areas, and as the vehicle travels down the road, such components move up and down and may cause squeaking if not properly kept up. Inexpensive and easy to apply grease will normally solve this issue. Locate the shock mounts, bumper stops, etc., around the frame. Use a paint brush to spread white lithium grease throughout such joints. Test drive the vehicle and reapply grease as needed to target areas. Figure 1. Look for scraped components for signs where squeaking may originate. Do not use white lithium grease for ball joints. If that process does not correct the issue, move forward to Step 2. They may be worn down. The bump stops are black rubber blocks placed on the frame to absorb frame shocks and bumps as you drive, as well as to soften the blow from suspension possibly bottoming out. Locate bump stops along frame. If dry and cracked, replace them. If still in good shape, apply white lithium grease. Replacing/repairing bump stops is a quick and inexpensive way to improve your ride quality. If that doesn't solve your issue, move forward to Step 3. They could use lubrication, or be cracked. Many things rely on the condition of your upper and lower ball joints. As you drive down the road, the ball joints allow the control arms to flex up and down based on suspension travel. Commonly, those ball joints dry out and eventually crack if not greased quickly. If they need to be greased, make sure to use proper ball joint grease and a grease gun to penetrate the assembly. If not, visit your local dealer or repair shop to have them replaced. Figure 3. 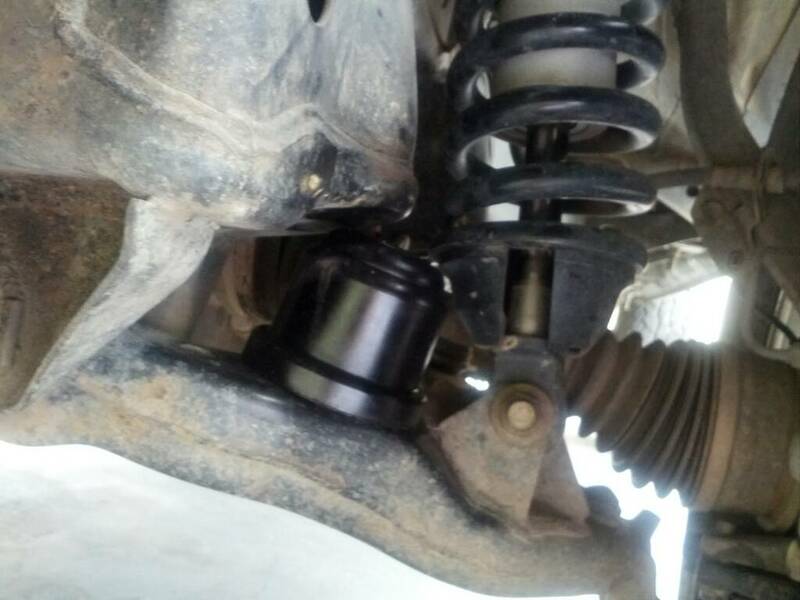 Ball joints hide behind a rubber boot. Figure 4. 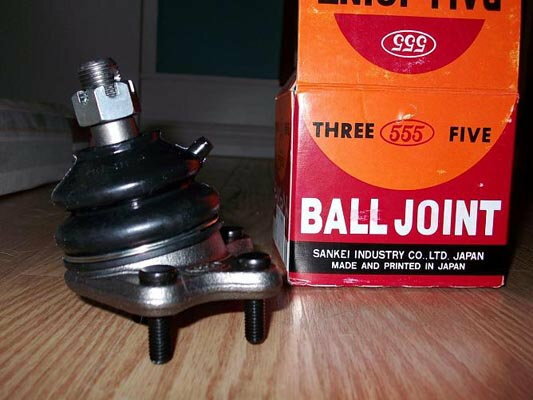 Replacement ball joint. Not maintaining your ball joints could lead to catastrophic failure and possible sudden loss of control.